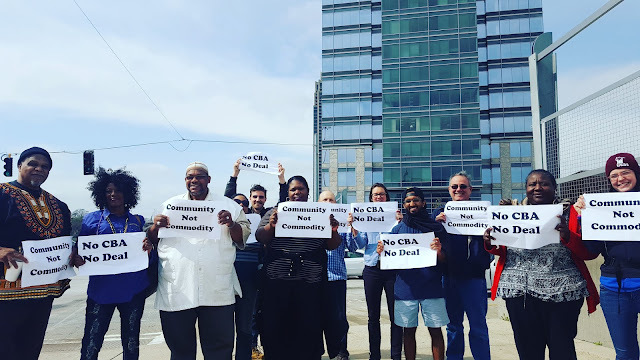 Today residents with the Turner Field Community Benefits Coalition delivered apetition to Carter Development urging the developer to sit with long term residents to negotiate a Community Benefits Agreement. The petition delivery was organized as a result of Carter’s CEO, Scott Taylor’s refusal to meet with the coalition. The coalition, which is comprised over 30 organizations in the community has been trying to have open communication with Carter and GSU ever since the sales process begun. To date the only residents Carter and GSU have been willing to meet with are homeowners in Summerhill more interested in their own property values. “We want development in our community, we just ask to be included as there’s a history of broken promises in our communities. 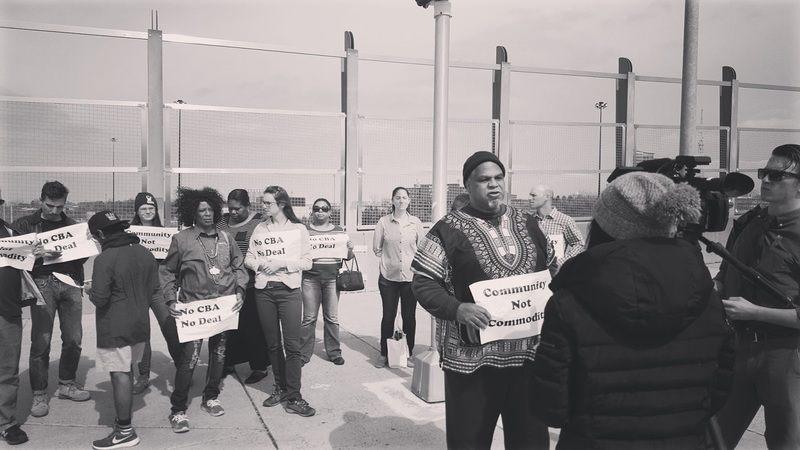 We want to know that development in our community works for both new and long-term residents, a binding Community Benefits Agreement (CBA) is a huge step in that direction.” Stated long term resident and coalition member Alison Johnson. Once residents showed up to Cater Development's office to deliver the petition they were met with extremely aggressive building representatives that threatened to have them arrested immediately. Some staff even put hands on residents who simply intended to deliver a petition to Scott Taylor. Residents decided to kneel down and pray for their community but building staff seemed set on yelling over clergy’s prayer, yelling, “Get out now!”, as Imam Furqan A Muhammad with the Masjid Al Muminun Mosque, which is in Peoplestown, led the group in prayer. Today what could have been a simple petition delivery urging a conversation with residents ended up highlighting the extreme disrespect and disdain that both Carter Development, GSU, and some city officials have demonstrated through the whole Turner Field sale process. If Atlanta is going to be a city that works for everyone then this unsustainable, backroom deal approach to mega developments must change. Carter and GSU along with our city officials did not plan with the communities. This was a backdoor deal which as stated above, is full of conflicts of interest. They disrespected the democratic process used to create the CBA and they ignored the communities and refused to allow them a seat at table. They took the alternate route and bypassed the people, because they decided the people don’t matter. Today the Housing Justice League launch it's new tenant leadership development training series which will take place every month at a different apartment complex and include smaller trainings in between each month based on the needs of each complex. The first training was help at City Views at Rosa Burney in historic Mechanicsville. 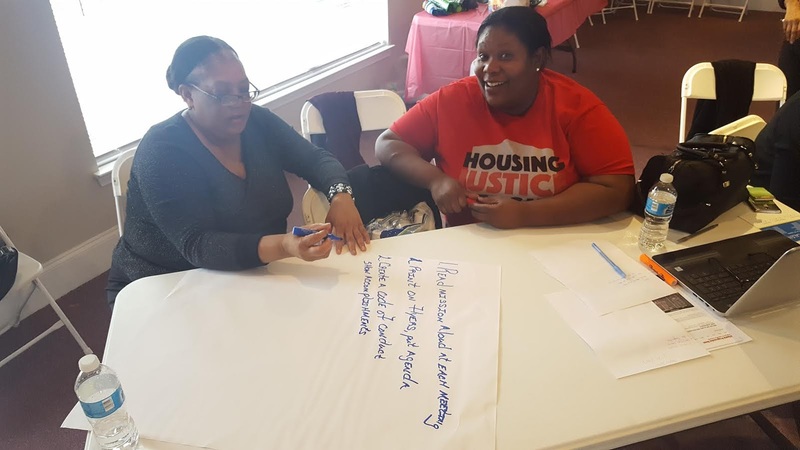 Resident leaders and new tenants came together to learn how to strengthen their tenant association and how to connect with other tenant associations to win victories around better HUD contracts, better living conditions, and stronger affordable housing policy in the city. 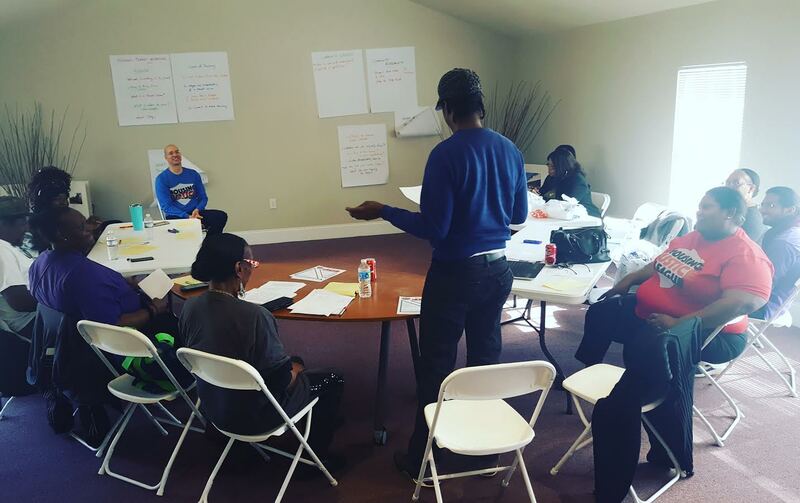 The trainings are open to any tenant that want to begin the process of building or strengthening a tenant association of tenant union. If you are a tenant that would like to receive training there are two ways to go about it. You can message the Housing Justice League at HousingJusticeLeagueATL@gmail.org about attending the next scheduled training, or you can inquire about hosting a training at your complex. This service is provided by the Housing Justice League at no cost. 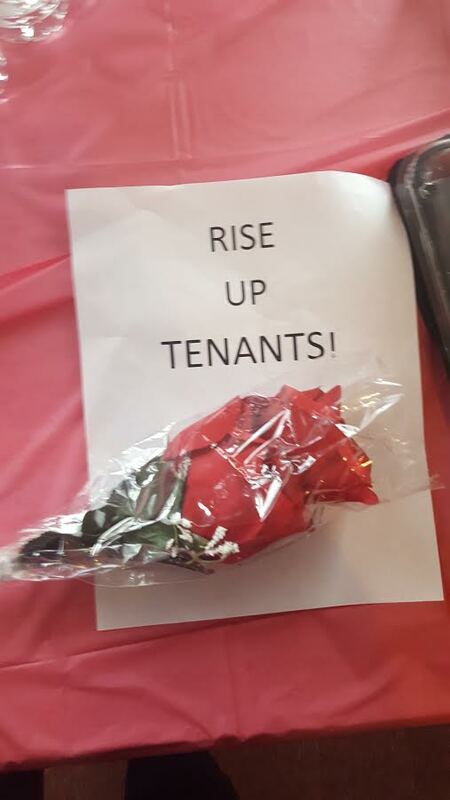 Now more then ever Atlanta needs a tenant movement to combat rising rents and unbridled development.